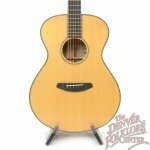 Pursuit is one of Breedlove’s imported collections but don’t let that scare you off. 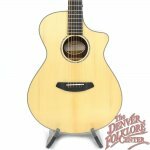 Designed by the same builders that produce US-made guitars in Oregon, these instruments are beautiful and produce an incredible sound given their affordability. 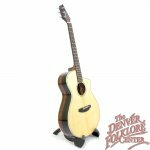 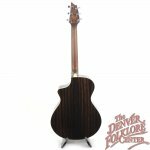 This particular beauty has an Engleman Spruce solid wood top and Striped Ebony back and sides which produces a sparkling, clear tone. 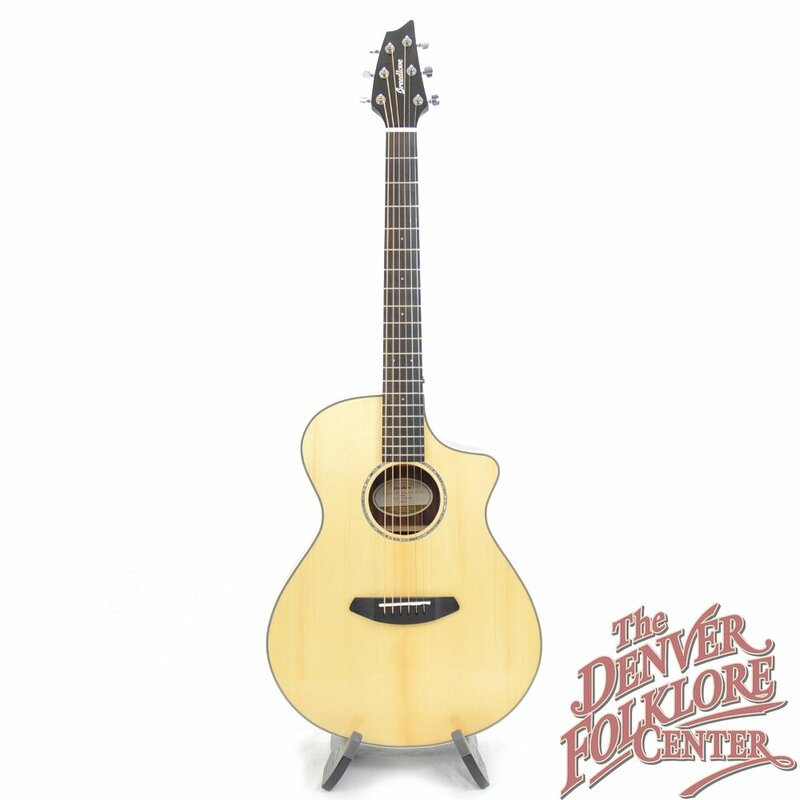 The gentle cutaway and the signature Breedlove pass-through bridge add elegance to an already stunning instrument. 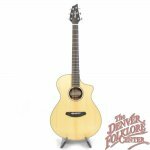 Comes with an installed pickup and padded gig bag, all for less than $ 800.